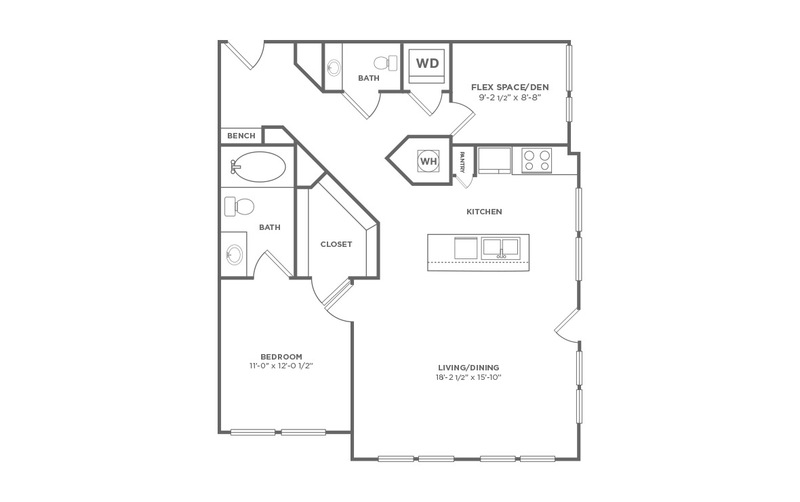 1 Bed / 1.5 Bath / 998 Sq. Ft. This amazing floor plan not only has a den, but also a half bath.